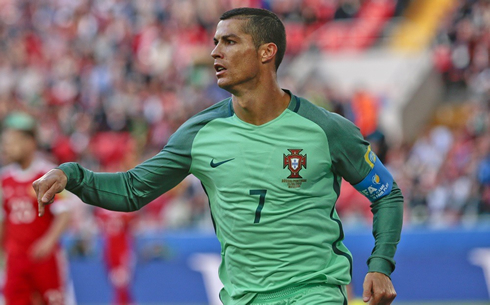 Portugal pulled off an important win in Russia tonight, as they beat the hosts 1-0 and moved to the first spot of the group. Cristiano Ronaldo made all the difference in tonight's game, scoring the decisive goal in the 8th minute of the first half. Russia has never been a friendly territory for Portugal. 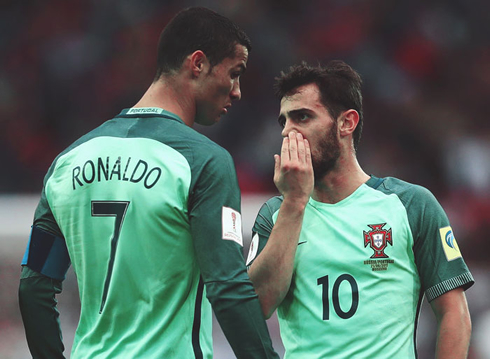 In their previous 4 meetings in Russian soil, there had never been a single Portuguese goal and the best the Selecção had accomplished was a goalless draw back in 2005. Once again, Cristiano Ronaldo was determined to make history and helped Portugal beating Russia by 1-0, thanks to a great header in the 8th minute of the game. 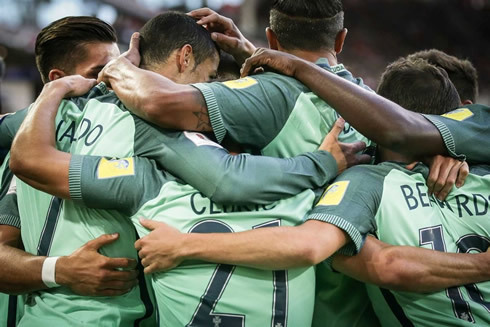 With the 3 points, Portugal are now on the top of the group together with Mexico and just need one more point against New Zealand to assure their presence in the Confederations Cup semi-finals. 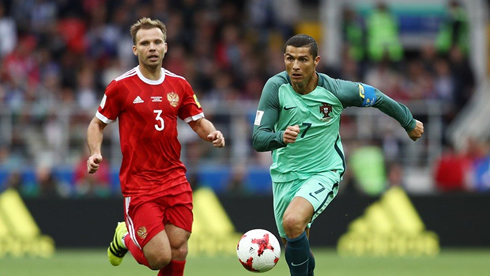 After their ultimately disappointing 2-2 draw with Mexico in their opening match of the 2017 FIFA Confederations Cup, Portugal faced the hosts Russia in Moscow. Fernando Santos named a changed side with Bruno Alves, Adrien Silva, André Silva and Bernardo Silva all entering the starting lineup. Cristiano Ronaldo, still the subject of all the media attention though the rumors that he was set to leave Madrid have cooled, was the dangerman up front and was still looking for his first goal in this tournament. Just 8 minutes in and Ronaldo was heading home yet another goal. This time from a cross by Raphael Guerreiro. The Borussia Dortmund wingback played in an excellent looping cross that met the head of Ronaldo, who then did a great job of following the ball. The goal gave him his 54th in the last 12 months, more than any other player in World Football. In the second half, the home team came to life despite their inability to put shots on target. Emboldened by a vociferous home crowd, they started pushing ahead, winning every 50/50 ball and causing Portugal a few problems, especially on the wings. However, Portugal are an experienced side and unlike their mishap vs Mexico, Fernando Santos' men were able to hold on to secure the victory and temporarily move to the top of the group. It was a good game for Ronaldo overall. Despite the fact he wasn't able to net a second, he was involved in the buildup play and also dropped deep when needed to help out. He seems to shine more when playing with André Silva, who isn't quite the creator that Benzema is, but still works well. Just like last year's European Championship, Portugal seem dead set on keeping their fans on edge. There's never an easy game with this team, but they're now on the top the group and look forward to what should be an easier matchup against New Zealand in the final group game, where they should just need a draw to qualify. 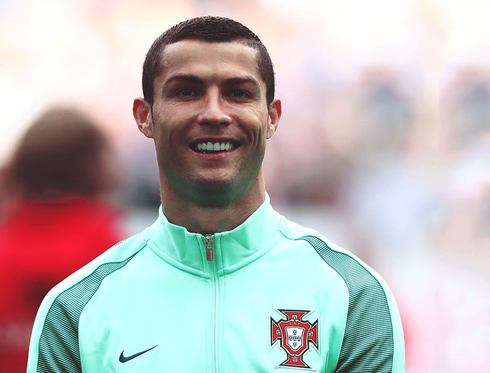 Cristiano Ronaldo next game is a Confederations Cup game on June 24 of 2017 against New Zealand. You can watch Juventus live stream, New Zealand vs Portugal, Serbia vs Spain, England vs Poland, Slovakia vs Sweden, and Germany vs Chile, all matches provided from our soccer live game pages.